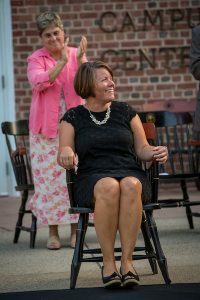 Sarah Klumpp receives the Gregory Chair. Ed. 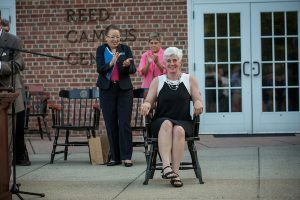 note: History and Global Studies Chair Sarah Klumpp received the Richard C. Gregory Chair during Convocation on September 15, 2017. 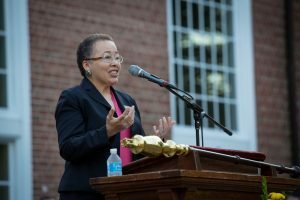 Dean of Faculty Peter Valine presented the chair and delivered this address. 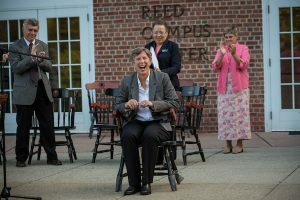 The new recipient of the Gregory Chair arrived on our campus in the fall of 2001. 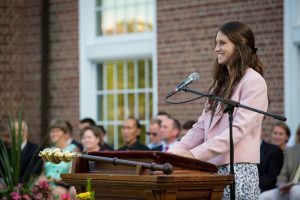 As an independent school graduate who had also taught for three years in boarding school before coming to Williston, she rapidly immersed herself in all areas of school life. 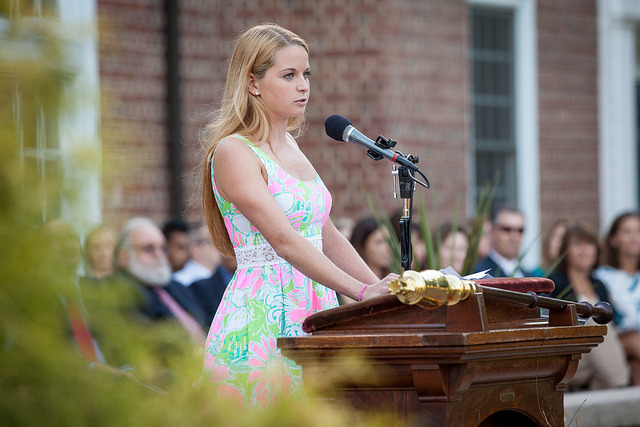 Students, faculty, staff, class of 2018, welcome to Convocation!